I always thought that their business model hinged on educating the consumer/ would-be buyer about what a large chunk of margin goes to advertising expense. 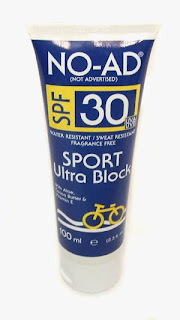 I feel that the opportunity to present that argument is on the actual bottle of sunscreen / aloe (that's what i have--No-Ad aloe). I haven't looked at the packaging lately, but last time I did, that argument wasn't all that salient, relying more on user prior-knowledge, which is a shaky bet. Oh, I wasn't advocating a whole pie chart, but i feel something that nice and salient like, "Did you know that on average $1 out of every $5 of retail price goes to pay for advertising budgets?" 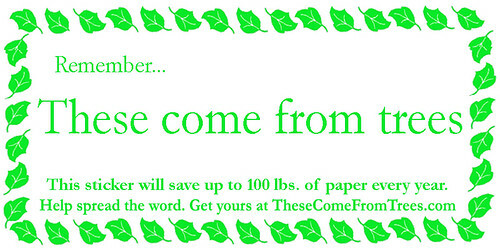 Something easy, like www.thesecomefromtrees.com states on their stickers: "This sticker can save up to 100 pounds of paper a year." Easy, to the point, and believable.